WE BUY CARS ANY CONDITION! We buy cars in any condition from any year. Nothing is to old or to new! 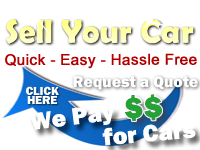 We offer free pick up and pay cash on the spot! Call us today at (516) 747-0250. We pay top dollar for junk cars. We don’t just buy cars for scrap, we buy them for their parts value. This process allows us to pay more than the average scrap yard. Call us today at (516) 747-0250.